Nobody ever knows what they might get out of the supergroup, not even Britt Daniel (Spoon), Dan Boeckner (Wolf Parade, Handsome Furs), and Sam Brown (New Bomb Turks). They even think the "supergroup" concept is a bad idea, but they wanted to try it out anyway. So they went ahead and did it. Last November, the three met at LA Rehearsal & Recording in West Hollywood, not far from Highway 101. They loaded in some guitars and a single synth player for what became their first practice. Nine months and a few days later, Divine Fits has a name, label, and an album with a few tracks that will land on playlists for a very, very long time. Divine Fits is exactly what it sounds like. With the anti-climactic end of the Handsome Furs three months ago, it was good to hear Boeckner was already working on another project a few weeks later. But that doesn't mean all the songs sound like him. Some sound like Daniel too. Some sound like a collaboration that will create the foundation for Divine Fits. 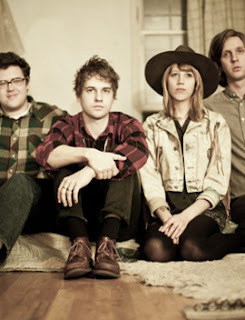 All have influences from one another, giving the band its own kind of indie rock recipe. It kind of comes with the territory given the band started something just for the fun of playing together. Their first song written and wrapped, by all accounts, was What Gets You Alone (which Daniel had originally written on his own). It's one of the most electrifying and driving bits of music on the debut. It's also the song that enticed Brown into the band, hearing it with nothing but a drum machine. It would have made a sensational introduction, but the Divine Fits chose a memorable, mellow and melodic number. My Love Is Real is impeccably smooth and contemplative from beginning to end, an externalized synth and percussion thump of an internalized thought. It plays rougher live, much like the coustic lightness and tension of Flaggin' A Ride. Flaggin' A Ride is the song they are most likely to open with on the road. Its heavy bass and percussion are much more likely to get the blood pumping. There is a build to it that lets you know something will happen. Would That Not Be Nice kicks and keeps up the pace, while maintaining that minimalist structure that both Boeckner and Daniel gravitate toward. You can feel everything, right down to each shake of the maracas. Here's the dirtier version as captured by freelance videographer Ryan Fitzpatrick. 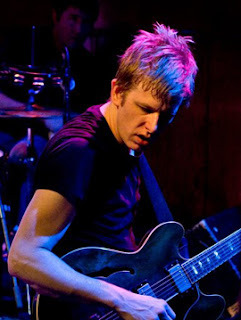 The fourth member of the band seen in the video is Alex Fischel (Papa), who signed on to support the band on keys. You definitely want to see them live. While the debut was expertly produced by Nick Launay (Nick Cave; Yeah, Yeah, Yeahs), there is something infectious about their less polished stage presence. Another must listen track is Baby Gets Worse. It's brooding and urgent, brimming over with heartbreak and confidence. The guitar and bass work kicks up a notch to finish up the song with the words lingering in your head. Civilian Stripes almost doesn't fit in neatly with the rest of the album, but be glad it's there. It's the closest composition on the album that qualifies as straight up bittersweet rock. It fits perfectly alongside the simple and always impactful Shivers. It's something to savor on this album, stronger than the original while paying tribute to the man who wrote it. In case you don't know, it was originally written by the late Rowland Stuart Howard (The Birthday Party) when he was 16 and performing with a long forgotten band called The Young Charlatans. As Howard grew older, he felt like he was covering a song written by another person and sometimes called it an albatross. Nick Cave also covered the song with Boys Next Door (as have others), which is why some people attribute it to Cave. A Thing Called The Divine Fits Throws Up 6.3 On The Liquid Hip Richter Scale. Divine Fits sometimes leans on the synth more than they need to, which isn't a slight against the talented Fischel in the least. It's just my take that electronic experiments aren't always as strong as any given song's foundation. (I couldn't imagine other songs without it, though). And yet, Divine Fits still throws me, especially the songs highlighted. You can pick up A Thing Called Divine Fits on Amazon. You can also download a specially mastered version of the album from iTunes. Barnes & Noble carries the CD and vinyl. They have a handful of shows slated, which you can catch on Facebook. I already saw them once. I will again too. 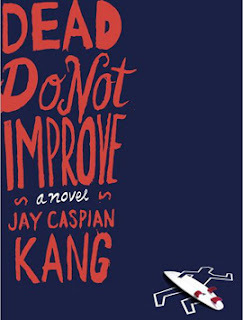 If you are looking for one last summer read, Dead Do Not Improve by Jay Caspian Kang will leave you bemused if nothing else. 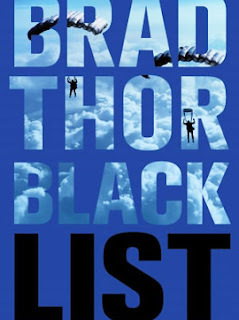 Not a stitch of it makes for great literature, but it is smart and satirical with frequently funny commentary that masquerades as a neo-crime noir. Some people will love it. Some people will hate it. But it won't likely disappear into some forgotten pile of dust. Maybe it's to be expected. Kang is an editor at Grantland, a pop culture/sports site where the storytelling is often more important than the story. This loopy romp around the Bay Area has the same sort of voice. The story is fiction, with some heavy-handed navel-gazing by Kang. The similarities between him and the principal character — recent MFA grad Phillip Kim — are almost nonexistent beyond a few swapped facts and experiences, including a shared fascination with Cho Seung-Hui that ends (or perhaps begins) in bewilderment. But that's not the story. The story is about all sorts of strangeness. Dead Do Not Improve is freshly entertaining and wildly wonky. It opens with Kim missing the possibly random and senseless killing of his neighbor, an aging underworld denizen, the night before. He doesn't even learn about her death until he Googles himself out of boredom the next morning. After he discovers the killing, he starts obsessing over the proximity — bullets cutting through his apartment complex while he slept. It could have easily been him who was hit, but it was Dolores Stone aka "The Grey Beaver" instead. He had spoken to her twice: Once she had borrowed four eggs; another time, she asked for cigarettes. He gave her five. His fascination with her death takes hold all the more as he discovers her career link to the seedier side of San Francisco. Friends tell him to brush it off, but there isn't much in his life to distract him. His job is best described as an incessant reminder that he was a failed creative hack. Every day, he sorts through company emails from new clients, men who had recently suffered a breakup and needed coaching to help them get over it. He is supposed to write personal messages, but has found it much more satisfying to plug in his prewritten responses. Cut, paste, and tweak like Adlibs. While Kim thinks in perpetual whimsy, Finch surfs up the punch. Since the clever but passive wallflower Kim is not enough to drive the story despite his self-loathing and humorous anecdotes, Kang leans on Siddhartha "Sid" Finch aka "Keanu," a surfer turned homicide detective assigned to investigate the case with his "potato head" partner Jim Kim. Mostly, Finch comes across as a pragmatic beach drifter who happens to have a badge. It doesn't take long before he discovers a connection between Kim and Stone that neither of them knew. Kim's company and Stone have been targeted by an ultra-fanatical subculture of militant organic cafeteria owners. It's a collective of employees who have cooked up a plan to thin the growing schools of pariahs who feed off dupes on the Internet and in San Francisco. Then again, the killing could just as easily be errant gang violence. With two protagonists, Kang deftly allows latecomer Finch to follow leads while Kim begins to fear for his life and pursue a love interest. A cross sampling of his many insights include being Korean-American, the silliness of social media, memories of his father trying to prove that Bob Dylan was not overrated, and a sense of self-loathing instilled by the marketing efforts of companies like Whole Foods. This is where the book works the best, with Kang infusing his personal perspectives and voice. 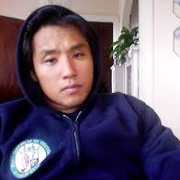 He too was born to Korean immigrants and grew up in Boston and Chapel Hill. 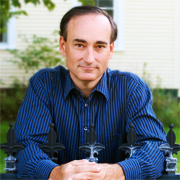 He attended Bowdoin College where he won the 2003 Sinkinson Prize for Best Short Story before being kicked out of school over his behavior. Dead Do Not Improve Finds 3.6 On The Liquid Hip Richter Scale. The real trouble with the novel is in pretending it has a crime story plot. While it does rub up with neo-noir, it only does so in an effort to provide a sense of purpose to the abundance of entertaining distractions and creative commentary. This doesn't make it any less enjoyable, but does make it less than cohesive. Likewise, Kang never promises nor does he offer any answers for his many subjects. Knowing that before you pick up the book will likely deliver a better read. And as more people do, there is a good chance this will be one of those books that becomes a cult classic loved in future decades. Dead Do Not Improve: A Novel by Jay Caspian Kang is available on Amazon. 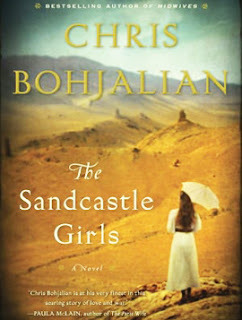 You can also find the novel at Barnes & Noble or download it from iBooks. The audiobook is read by Feodor Chin, who delivers his own memorable take on the material. As the first EP since the band broke up in 2005, She's An Alarm doesn't sound anything like the San Francisco-based punk band One Man Army. But that might not be a bad thing after seven years. In fact, the difference is stark enough that some people will wonder if the once throaty Jack Dalrymple is part of the lineup. 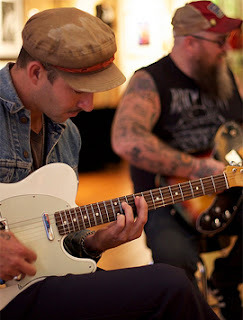 It is all Dalrymple, reshaped after his experiences in other bands like Dead To Me, Swingin' Utters, Re-volts, and U.S. Bombs. This time out his vocals are crisp, clean, and more melodic than the haughty aggression of a younger One Man Army. The same can be said for two other familiar faces. Brandon Pollack and Heiko Schrepel are both back. Pollack was part of the original One Man Army lineup on drums and Schrepel, who had replaced James Kotter, played bass until the breakup in 2005. While the sound is completely different, the kinship between them is all intact. She's An Alarm - EP packs in more garage rock than punk. The release is a three-fold win for anyone who followed the band before. As part of their new deal with Adeline Records, the homecoming included a re-release of their first two albums as well as the new EP. The first track to pick up off the 4-track She's An Alarm is I.T.I.A.L.S. Dalrymple comes in more tense than strained, delivering the vocals more effortlessly than he has ever before in his career. Some might even wonder where he has been hiding his pipes given he had been mostly sticking to guitar and bass since the split. I.T.I.A.L.S. does a solid job putting down the new sound with breaking guitars and catchy builds. It reminds me that they were once considered the hardest working band of their time, married to punk but always able to diversify their sound as it suited them. It's always been that way for Dalrymple. Look up any past interview, and you'll find the same answers. All he has ever wanted to do is write good songs, play good shows, and get better at doing the only thing he does — play music. The only thing that changes is who he plays with to do it. One the second track, Plastique, there is more distort turned up on Dalrymple voice. The song is intentionally simpler and more straightforward. The driving beat remains the same throughout. It's not the best song on the EP, but there are some interesting vocal drop downs. Any Minute has a bit of a surf vibe, probably one of the most garage rock casual of the bunch. The boy meets girl storyline has a feel good swagger to it. I Got Hung Up is more meandering and thematic, with an additively moody solo tucked inside the middle of it. It's my second favorite track on the EP. It might take awhile before the She's An Alarm catches more attention. News about the initial break was fairly limited to a handful of sites, with most breaking the news ahead of reviews. Part of the buzz was related to the limited physical release of the 7-inch with 1,000 neon green and neon pink records. The other reason the EP will have a slow start is that there are a surprising number of people who think this is a new band. She's An Alarm By One Man Army Sounds 8.2 On The Liquid Hip Richter Scale. Nobody can do better on a 4-track EP this week than One Man Army. Everything about it rocks, and the fact that they went back to Adeline Records just makes it better. One Man Army, after all, was the first band to release a record on the label started by Green Day's Billie Joe Armstrong. Several bands have since said that they were influenced by One Man Army. 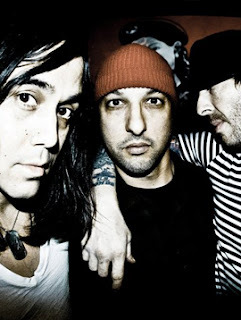 The EP was mastered by Mass Giorgini (Rise Against, Alkaline Trio, Screeching Weasel). It comes out in conjunction with the quiet re-release of Last Word Spoken (2000) and Dead End Stories (1998) on Amazon. You can pick up She's An Alarm and both albums on iTunes as well. You can also keep an eye out for tour dates on Facebook (no news yet). Vancouver, British Columbia, is somewhat of an enigma. The coastal seaport city is one of the most dense and ethnically diverse in the Pacific Northwest, but it also rests on the edge of the Canadian wilderness. The contrast is stark enough that a single review cannot capture these independent spirits. It seems more fitting to break them into two parts, with this review focused on two of several possibilities as an introduction to the wilder side of Vancouver. While neither venture too far off the beaten path, both set the stage for any number of return adventures. The Capilano Suspension Bridge in North Vancouver. Just a short drive through Stanley Park and across Lions Gate Bridge from Vancouver, the Capilano Suspension Bridge is a place nearly untouched by time thanks to the foresight of George Grant Mackay, a Scottish civil engineer and land developer who arrived in Vancouver in 1888. Shortly after arriving, he purchased 6,000 acres of dense forest on either side of the Capilano River and built a cabin on the very edge of a canyon wall for his adventurous friends to visit. The only way to cross over was a hemp rope bridge that seemed to be swallowed up by the wilderness on the other side. If you look at an aerial map, the extended area descends down from Capilano Lake like a ribbon of green. Next to and north of the lake is beautifully wild and untamed wilderness. The bridge and related natural attractions are found on the southern tip. Naturally, the Capilano Suspension Bridge is named after the bridge, but the original hemp rope bridge has been replaced several times by various owners. The two most important significant owners included Rae Mitchell, who created the early trail system and completely rebuilt the bridge in 1956, and Nancy Stibbard, who purchased it in 1983 and still owns the bridge and 27-acre park today. While there are many areas to explore, the bridge is still a focal point as an entrance into the park. 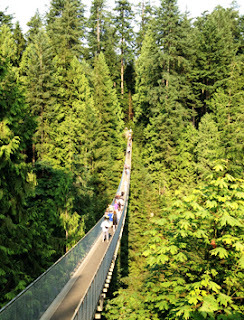 It stretches 450 feet across and 230 feet above the Capilano River. The dramatic entrance sets the tone of the entire park, an invitation to step into a different world with natural, historical, and cultural attractions. 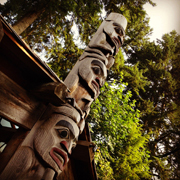 Once across, visitors are greeted by a glimpse of the Kia'palano, who were among British Columbia's First Nations; Totem Park, where several local First Nations placed poles; and a Capilano Tramps' Story Centre, where artifacts and antiques are on permanent display. But most of the time will be invested in the rainforest, Treetops Adventure, and new cliff walk. The Treetops Adventure is a series of elevated tree platforms linked together by a series of suspension bridges, some reaching as high as 100 feet above the forest floor. The Douglas firs that provide the platforms are as high as 200 feet tall and 1,300 years old. The new cliff walk is a series of stairs, walkways, and glass platforms that jut out from the natural granite. 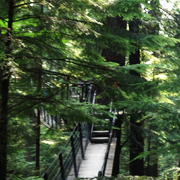 The rainforest encompasses the rest of the park's trails, meandering through trout ponds and majestic evergreens. The Indian Arm is a steep-sided glacial fjord adjacent to the city. 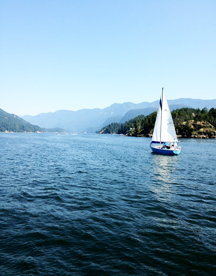 While there are many ways to experience the fjord, the 12-mile salt-waterway extends north from the Burrard Inlet. There are no crossings and very few roads and the steep mountain slopes have warned off most development with exception to its southern-most opening. They are two ways to experience the narrow inlet, boating and kayaking for the more adventurous or various half-day and full-day boat tours. Kayaking and boating provide more opportunities to land near Granite Falls, a 50-foot waterfall. There are several other campsites as well. Charter boats and large group tours don't miss out on spectacular panoramic views. Smaller tours usually depart from Port Moody (and travel deeper into the fjord) while the larger 4-hour luncheon cruises depart from Vancouver Harbor, turing around after a pause at Silver Falls. Despite the size of the boat, the captain backs up to the falls as close as possible for an unobstructed view. Capilano And The Indian Arm Sway 8.2 On The Liquid Hip Richter Scale. Although these are tame compared to many of Vancouver's natural attractions, both provide a feel for the area before considering many other options such as whitewater rafting, float plane and kayak tours, or joining local fishermen for charters. Some even take you as close as possible to grizzly bears in their natural habitat. The natural side of Vancouver is in a class by itself, especially because all of it is in the backyard of a dynamic and interesting city. Visit Fare Buzz to save up to 60 percent off on travel to Vancouver, British Columbia. For travel comparisons, start with the top travel deals at Expedia.com. The next places review will focus on the Vancouver experience from the city perspective, including Hotel Le Soleil Vancouver. Eric Nuzum’s teen years were filled with drugs, depression, hopelessness, and a stint in an institution. He was an outcast, growing up in a normal family in a nondescript place where nothing ever happened. In Canton, Ohio, he didn't feel connected to anyone or anything. 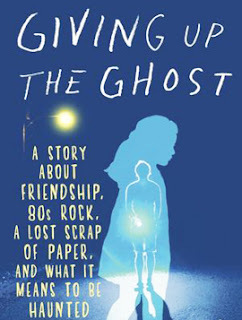 And he relates this sad — sometimes funny and sometimes poignant — time in Giving Up the Ghost: A Story About Friendship, ‘80s Rock, A Lost Scrap of Paper, and What It Means to Be Haunted. A reoccurring dream that literally haunted Nuzum for years. He would dream of people sitting around a picnic table with one man wearing a wolf costume. 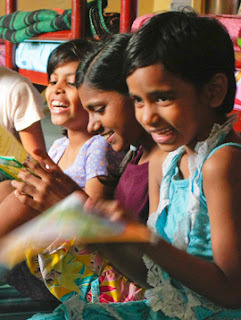 There also a very distinctive little blond girl in a blue dress. Her hair and face were wet; her clothes were not. As Nuzum would reach out to her in his dream, she would begin shrieking at him in gibberish or maybe a language he couldn’t understand. He would wake up terrified, believing that the girl was a "harbinger of my own self-destruction." Was she trying to warn him about something? Maybe. Nuzum always heard thumping sounds in his parents’ attic, which he attributed to the same ghostly girl. He was convinced she was there, waiting on the other side of the door for him. It was only later on that he realized the ghost symbolized much deeper issues. In his late teens, Nuzum avoided thinking about going to college and focused instead on just existing. 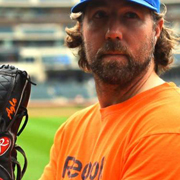 He worked as a janitor for TJ Maxx, which suited him just fine because it involved minimal interaction with people. And while he did have friends only one really mattered, a mysterious girl named Laura. They would hang out regularly, but she never talked about her life, her family, and what she did when they weren’t together. Nuzum recounts how he acquired and began carrying around a vial filled with enough sleeping pills to end his life. Each time he’d reach into his pocket and think about taking them, he’d remember that he and Laura had plans to get together (maybe a concert or driving around). He’d postpone taking the pills because he looked forward to seeing her. But eventually it doesn't work for him anymore. He goes over the edge (but doesn’t take pills). He wrecks his car instead. His family encouraged him to check into a mental hospital. It’s perhaps his description of his stint in the hospital and the strange people he encounters there that comprises the funniest part of the book. Nuzum knows he’s messed up, but can clearly see that others are far more messed up in comparison. While in the hospital, Laura sticks by him, never giving up hope that he will turn things around. He eventually does, just in time for her to drop a bombshell. She’s going away to college. The news nearly sends Nuzum spinning into a new depression, but this time he fights back and makes out-of-town college plans of his own. He wants to prove to Laura that he can do it. Before she leaves, he returns a book she’d loaned to him and he tucks a letter inside. The letter tells, for the first time, just how much he loves her. But in a very tragically ironic twist, Laura becomes a ghost. Nuzum never learned whether she read his letter or not. And while the ghost of the little girl rarely haunts him any longer, he sets out to rid himself of his fear of ghosts, visiting the most haunted places in the United States to do it. Eventually, he discovers that the “ghosts” he fears so were within himself, perhaps. Today Nuzum is a vice president of programming at NPR in Washington, DC. 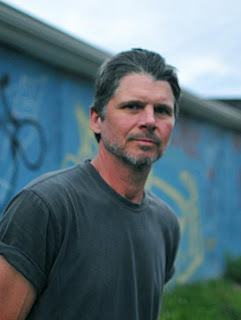 He has also written The Dead Travel Fast: Stalking Vampires from Nosferatu to Count Chocula and Parental Advisory: Music Censorship in America. He is happily married with children, but still can’t stand to have inside doors closed. 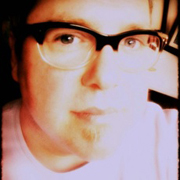 Giving Up The Ghost By Eric Nuzum Hits A 6.8 On The Liquid Hip Richter Scale. Nuzum does a nice job tackling an intensely personal time in his life with honesty, candor, and humor. It’s clear that he doesn’t take himself too seriously and that’s what makes the book so enjoyable. He could look at portions of his life in any other way, but he doesn't. You'll be glad to find him. Giving Up The Ghost: A Story About Friendship, 80s Rock, A Lost Scrap Of Paper, And What It Means to Be Haunted by Eric Nuzum is available from Amazon. Barnes & Noble also carries the book. You can find Giving Up The Ghost on iBooks. Nobody has heard Ghost Wave play live in North America, but that is about to change this October. The three-piece (formerly four-piece) band from Aukland, New Zealand, is slated to play Part Time Punks in Los Angeles and the CMJ Fest in New York City. There isn't much buzz around the band yet, but that stands to change as their fuzzy 60s Brit pop rock sound reaches more people. In advance of their North American appearances, Arch Hill Music put out the band's self-titled 7-track EP a couple of days ago. Ghost Wave rides jangly like a wall of psychedelic surf rock and shoegaze. 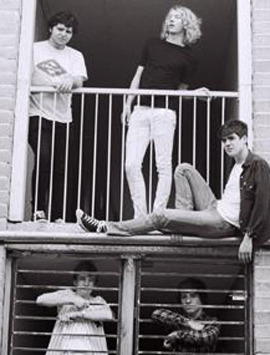 Taking some cues from 60s Brit pop and Flying Nun bands from the 80s, Ghost Wave is all about giving their garage rock glow. They do. Hippy, for starters, has plenty. Played out in just over two minutes, it's a simple and straightforward surf rock song that begs to be broken down. "There were like seven songs that could have potentially been picked, but it was Hippy [that caught the label's attention]," said front man Matt Paul. "It was cool to see somebody's personal response to the track. We're just a little bit out of our element because somebody did something because of our jam." The timing to be signed could not have been better. Paul had just promised his girlfriend he would get a job this month. But now, with Arch Hill Music in the mix, he might be able to hold off while they tour in support of the EP and anticipated full-length next year. After Hippy, another spotless song to give a listen to is their psychedelic trip track Sunsetter. While the video was released last year with all the feel of a euphoric beach tune, it still sounds fresh under the release of the EP stateside. Originally, Ghost Wave was nothing more than his one-man electronic noise project in 2009. But even back then, Paul seemed to know what kind of sound he was after (one of his earliest demos set the direction). The rest of the band came on shortly after he started touring on his own. 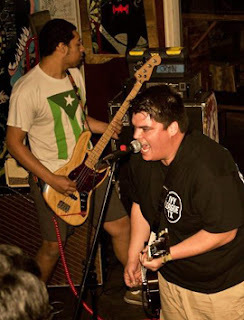 Playing small venues gave him the chance to meet other musicians who were keen on the idea, beginning with drummer Eammon Logan (Basketball Nightmare) and then Rikki Sutton (Dear Time's Waste), who started on bass before moving to guitar. They recorded anywhere they could find room, usually Paul's old garage and Sutton's place. It took another year before Ghost Wave was able to shut the revolving door for their bass player spot with the addition of Mike Ellis. Sure, they are a three-piece again, but it hasn't affected much of the sound. 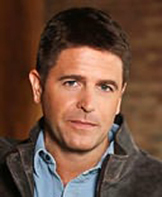 Many of the songs were written with a three-piece in mind. Paul has since picked up more guitar duties to retain the sound. The balance of the tracks to check out first on the EP. Other tracks to check out include the drifting, self-reflective ditty Sounds, the acoustic strum and dream pop leanings inside Gold, and the daydream meanderings of Mood Ring. Most of the songs carry a consistent theme that falls somewhere between wasted days and trying to make sense of the world. That seems to fit Paul, who wants to play effortlessly without taking anything too seriously. He like it to go like that for awhile and keep up it until it gets boring. So far so good. There's no boredom here. Ghost Wave's Self-Titled EP Swells To 5.8 On The Liquid Hip Richter Scale. There was an interview where Paul said he likes to play until the music makes his body feel like air. That sounds like the perfect description of how he plays on stage. Check out the Sunsetter session. You can find the new Ghost Wave self-titled EP on iTunes. You can also listen to Hippy and Sunsetter on the band's Soundcloud page. You can keep up with the band on Facebook. Their next scheduled gig is in Auckland, New Zealand. Otherwise, look forward to seeing them in Los Angeles, New York City, and any other venues they happen to fill in between. Vintage clothing always seems to get more mileage. But that doesn't mean you always have to dig around in vintage stores looking for something less worn. Some designers have taken on the job themselves. One of those designers is Angela Taylor George. She named her brand Alice & Trixie as a tribute to the heroines of The Honeymooners. It was the classic creation of a comedic sketch that grabbed enough attention to warrant its own show. Only 39 episodes were released because audiences didn't realize how timeless the 1955-56 sitcom was compared to the show that topped it. Although its namesakes are from the 1950s, Alice & Trixie collections go beyond a single decade for inspiration. George takes her cues from several decades with vibrant prints, solid hues, and what she calls bohemian glamour. Alice & Trixie lines up a bit of iconic casual vintage. While there are several dresses and tunics to consider from the full collection (like the Tessa Dress above), the versatility of alternating tops or skirts adds value. Some patterns are just enough when added to white or blue denim, whether layers or not. Others take center stage. Colleen Top. There is something immediately likable about a top that can be casual or elegant depending on what you wear with it. The design is free flowing for a comfortable fit, and made with 100 percent silk. There is also a variation that makes an altered cut into a dress. The only real detailing is in the criss-cross neckline, which is less obtrusive to jewelry than some tops in the collection. (The Talli top looks great but the tab closure on the V-neck cut doesn't work with a necklace.) Although black is shown here, the top also comes in a vibrant harvest gold, and bold blue and purple floral. Arden Skirt. This simple skirt is all about versatility as a go-to mini. There are plenty of ways to pair it and Alice & Trixie has found several bold patterns to make the look. The dress itself is 100 percent silk and fully lined. 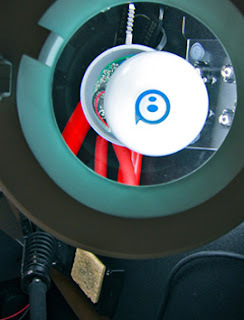 It might be a summer holdover, but it still works. It can be easily paired with something like a racer tank or free-flowing blouse, even the Colleen Top. What also stands out about the skirt is the abundance of colors and patterns. You can find it in the electronic design, Mondrian colors, or variants from the 1960s like a puzzle geo or mod florals. Alternative Pick. Although not from Alice & Trixie (and not silk), there are other vintage stylings that have come out for late summer and early fall. Fossil carries the Chelsea Top made from nylon lace and rayon mesh. It's also part of a vintage line worth checking out. The design is inspired by a vintage look and accented by the scoop neck. It comes across as the perfect feminine tee for jeans. It can be dressed up too. Beyond on the lace, the shirt also comes in several great colors — olive, peacock blue, mustard, and persimmon. A couple of quick graphs about Angela Taylor George. Like many designers, Angela Taylor George found her passion for fashion at an early age. She muses that it all started with hot pants. Later, the native New Yorker enrolled in the Fashion Institute of Technology (FIT) and worked in one of New York's premier boutiques. What she never found enough of was bohemian fashion. She turned toward making her own; something feminine, chic, and confident like her brand's namesake. While I can't see Alice & Trixie wearing some of these designs, many celebrities who followed in their footsteps could have pulled it off. So can almost anyone today; especially those who live near any cosmopolitan coast. Alice & Trixie Is A Cut Above 6.2 On The Liquid Hip Richter Scale. The latest line from Alice & Trixie still carries some of the summer forward into fall. After looking at some of the upcoming designs for the new season, the brand is taking on a much more sophisticated and semi-formal look. You can find Alice & Trixie designs at Designs By Stephanie. There are several great designs that accompanied the ones highlighted here and it will only be a matter of time before the new fall line is added. While some might might say silk is a luxury purchase, these timeless designs will last. Otherwise, the fall collection at Fossil looks good too. Recently signed by Flogging Molly's new record label Borstal Beat Records, The Drowning Men won't be unknown for long. Their new album, All Of The Unknown, brings in more indie rock than their folk rock roots from Oceanside, Calif.
With the help of producer Billy Mohler (Smashing Pumpkins, Macy Gray), their first time in a big studio, and perhaps some new influences after touring with Flogging Molly, what started out as a simple EP began to develop into something else entirely. All Of The Unknown became a sophomore album that adds more passion than their previous outing. All Of The Unknown packs some indie punch. Most of the album, in fact, was written on the road while touring in support of their last album. With all the road time, frontman Nate Bardeen had his first opportunity not to feel rushed. Instead he could sit down with the band, go over the material, and change things around. By the time they did pour into the studio, many of the songs were already tour-tested and ready for live recording. That's not to say some things didn't change once they were there. One of the noticeable changes in the music was adding emphasis to the chorus, something Bardeen was big about. What he is also big about are theatrical melodies and swells. There are plenty in the band's breakout song, Smile. The slow-burn atmospheric track pushes more pop than indie rock, but the songwriting cuts to the soul of the singer. Bardeen says it's exactly where he is now: broke, stressed, and making sacrifices. The first track released as a music video is different. Lost In A Lullaby had a working man feel, toiling away in a machine shop to produce something memorable. With the help of James Smith (guitar), Todd Eisenkerch (bass), Rory Dolan (drums), and Gabe Messer (keys), The Drowning Men do exactly that. While the song doesn't smack you upside the head, it has this restrained tension that plays even better on stage. As you might guess, the band sounds even more raw in person too, even if many of their songs have a fullness that pushes outside any crunchiness. Instead, you feel Bardeen's chronic desperation. The beat-driven I Am The Beggar Man captures that feeling perfectly as Bardeen belts the verse above the percussion. The lyrics take on the reflective tone of someone who chased money all his life only at his father's bequest only to end up old and broke. In the song, he longs for a second chance. The balance of the album by The Drowning Men. Other standout songs in the mix include the brooding, slow-burning earnest in The Waltz; the atmospheric largeness of A Fool's Campaign; and A Better Place. The latter might be a bit heavy on theatrics, almost belonging more to a musical than a rock band. But like many of the songs hummed up by Bardeen, it's in the lyrics and delivery. If there is a common thread to all this stuff in his head, it skews toward people who punch the clock and hold out hope despite knowing there aren't any guarantees. You take your chances and hope you didn't waste your time. You never know. In fact, some of that sentiment might have even come out of touring last year. The band was hit by a drunk driver on their way to play the Airborne Toxic Event. Fortunately, no one was hurt even though their van was totaled and some of their equipment destroyed. Remarkably, they made the event. 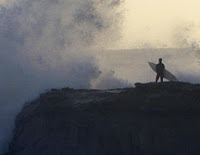 The Drowning Men's All Of The Unknown Breaks 4.6 On The Liquid Hip Richter Scale. The band has clearly paid some dues. The best part of their story is they are nowhere near down. 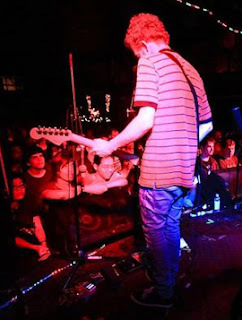 With every successive EP and album, the band gets better and better, building to up to something noticeable. As long as they stay focused and don't drift too far into dramatics, there is some real promise here. Not every song is needed off All Of The Unknown. The best of All Of The Unknown by The Drowning Men has been mentioned and can be picked up on iTunes. You can also order it on vinyl from Barnes & Noble or find All Of The Unknown on Amazon. Check out the band on Facebook for tour information.